It has just come to my attention that there are two applications for tenure for tidal turbines in killer whale critical habitat. This last arose in November in 2012 with my posting the blog “Tidal Turbines in Whale Epicentre? Hell No!”. The resulting media coverage, your action and the ethics of the applicant resulted in that application being withdrawn. With these two new applications, your action is again very much needed. The comment deadline is April 9th, 2015. Below, I have edited my November 2012 blog to be applicable to these applications and hopefully I have succeeded in making commenting very expeditious for you. There are times when expletives like “Hell No!” are justified and I am sure you will agree this is one of those very unfortunate times and – your action is needed. There are two applications for “OCEAN ENERGY / INVESTIGATIVE AND MONITORING PHASE” by Weyl Power Ltd. If accepted by the BC Ministry of Forest, Lands and Natural Resource Operations (MFLNRO), this would allow the instalment of technical and investigative monitoring equipment in killer whale critical habitat which could then lead to turbines also being located there. I believe the applications are still referenced as “licenses of occupation“. See the map for the location of the proposed Weyl Power sites relative to resident killer whale critical habitat as per the Recovery Strategy for Northern and Southern Resident Killer Whales in Canada. 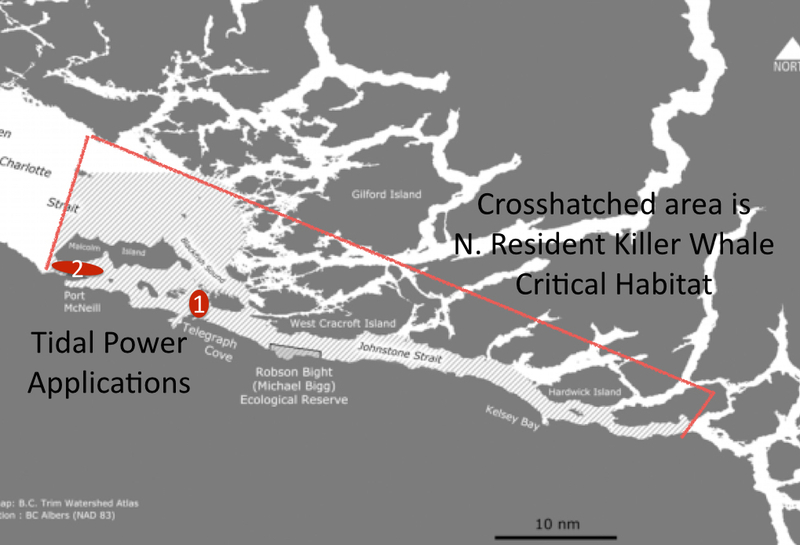 Proposed sites relative to acknowledged northern resident killer whale critical habitat. Source of base map: BC Cetacean Sightings Network. Click to enlarge. For more on the determination of this critical habitat see Ford, J.K.B. An Assessment of critical habitats of resident killer whales in waters off the Pacific Coast of Canada. Canadian Science Advisory Secretariat, Research Document 2006/072. While I of course support initiatives to reduce the use of climate-changing fossil fuels, to have turbines in critical whale habitat would be pure, simple, total, utter insanity. No matter how advanced the turbine technology, no amount of mitigation could compensate for the noise, prey reduction, and other disturbance to the whales. One would hope that government agencies would surely deny the applications, especially after the public outcry after the similar 2012 application in this same area. However, we have many examples of this being tragically misplaced faith and cannot count on there being any legislation in place for sound environmental assessment that would confirm environmental impacts. Note that the federal government had to be taken to court TWICE to be ordered to acknowledge and protect killer whale critical habitat – first ruling December 7, 2010; appeal ruling February 9th, 2011. 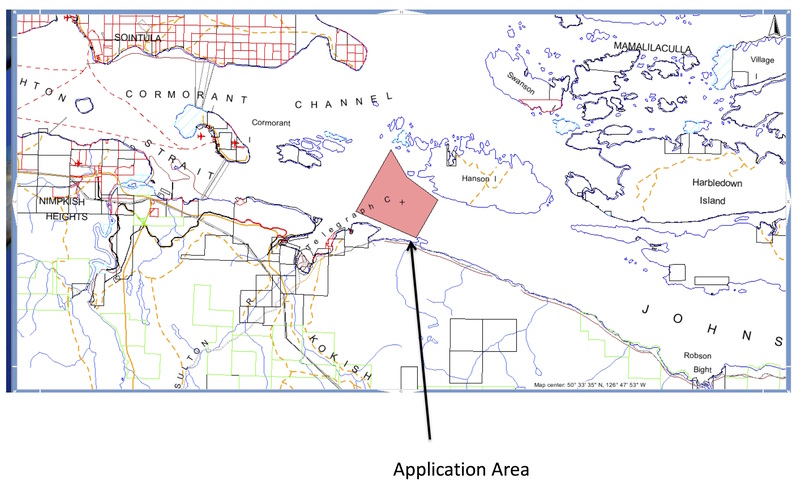 Weyl Power Application – Johnstone Strait between Hanson Island and Telegraph Cove. File: #1414321. Click to enlarge. The very ocean current that makes this area of interest for staking a claim for ocean energy is what makes this such a rich area for marine life. The importance of this area for killer whales can be supported by almost 4 decades of data collected by Department of Fisheries and Oceans and the OrcaLab. Weyl Power Application – Broughton Strait, western end of Malcolm Island. File: #1414321. Click to enlarge. Therefore, we collectively need (again) to make our “Hell No!” heard. Please comment by the April 9th deadline by going to these two links and scrolling down till you see “To comment on this application please click here”. Weyl Power application for Johnstone Strait between Hanson Island and Telegraph Cove (File: #1414321) – click here. Weyl Power application for Broughton Strait, western end of Malcolm Island (File: #1414325) – click here. You may even want to reference this blog and provide the link e.g. “For further details of the reasons for my great objection to this application see the rationale and resources provided at http://wp.me/pPW6V-1cJ. Please also help spread the word? So much insanity . . . so little time. Bigg, M.A., I.B. MacAskie and G. Ellis. 1976. Abundance and movements of killer whales off eastern and southern Vancouver Island, with comments on management. Arctic Biol.Sta., Ste. Anne de Bellevue, Quebec. 20 pp. Fisheries and Oceans Canada. Final Amended Recovery Strategy for the Northern and Southern Resident Killer Whales (Orcinus orca) in Canada. Species at Risk Act Recovery Strategy Series, Fisheries & Oceans Canada, Ottawa. 2008. ix+ 81 pp. Ford, J.K.B. An Assessment of critical habitats of resident killer whales in waters off the Pacific Coast of Canada. Canadian Science Advisory Secretariat, Research Document 2006/072. Polagye, B., B. Van Cleve, A. Copping, and K. Kirkendall (editors). 2011. Environmental effects of tidal energy development. U.S. Dept. Commerce, NOAA Tech. Memo. NMFS F/SPO-116, 186 p.
Johnstone Strait Limits of Acceptable Change Pilot Project. 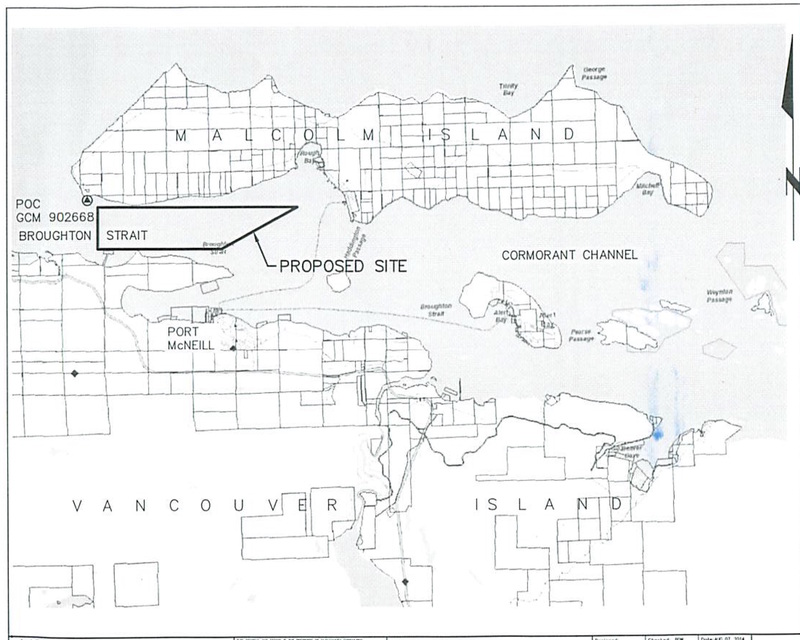 North Island Straits Coastal Plan (reference to “critically important habitat” Section 2, page 21. Forests, Lands and Natural Resources’ Land Use Operational Policy – Ocean Energy Projects. These whales are dealing with enough struggles to maintain life without extinction! No!!!!!!!!! It is not just the whales … it is that which does not belong to us but is in our stewardship. The area to be commercialized supports more life forms than Vancouver Island; hidden from view is not absent from mind nor the world. The diversity that will be lost from God’s Pocket … who named those waters anyhow? … cannot be salvaged nor will what becomes be the same but something strangley different. It is the kneebone is connected to the elbow thing, and to this pont, The Rev certainly prays that the lives of the many animals that call our waters home be given that respect. Absolutely not! Haven’t we humans done enough damage? Hell yes we have. Say hell no to this project. There are other forms of energy to consider. Stop the insanity – sooner rather than later!